Subject: s-Gravenhage [The Hague]: Martinus Nijhoff. 8vo: [vi], 78, [plates] pp. Original paper wrapper. Decorated paper wrapper, with a small Schelfhout dog's head to the front cover. 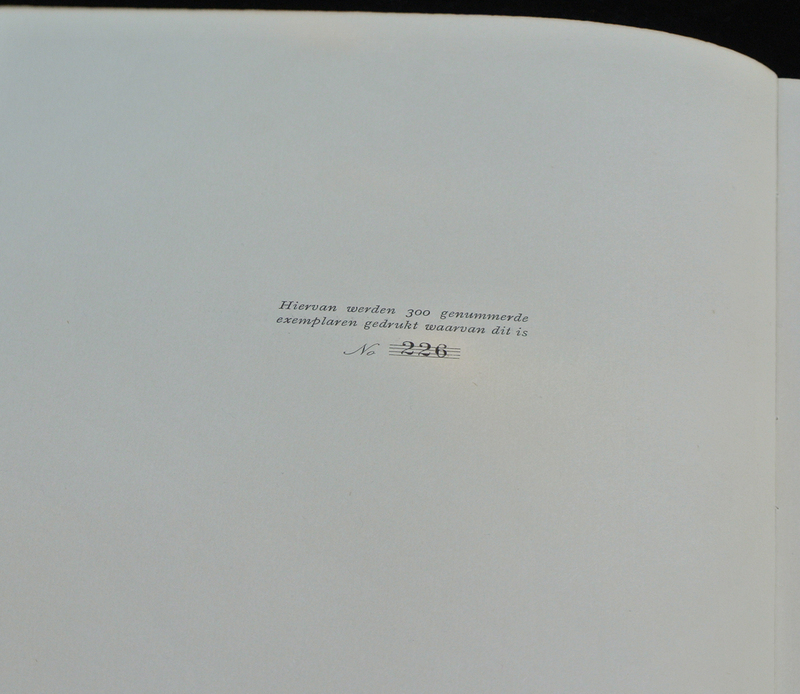 Printed in an edition of 300 numbered copies (this 226). Condition: Very good, given age. The spine with traces of use. Cover lightly sunned. Half-title and inside front cover discoloured. 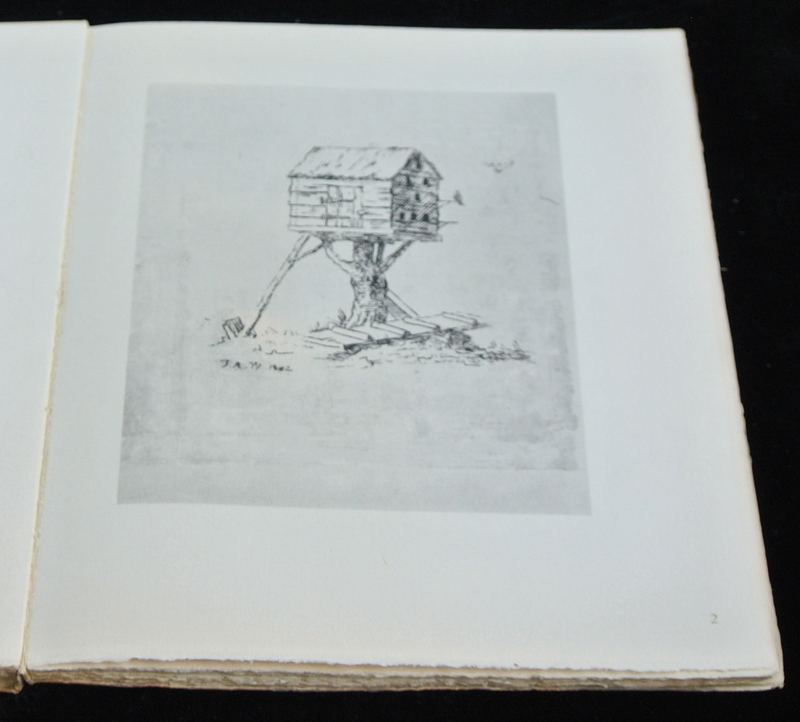 Book-block and plates in excellent condition. Size (in cm): 8vo: 17.7 x 22.2 cm. Size (in inch): 8vo: 7 x 8.75 inch. 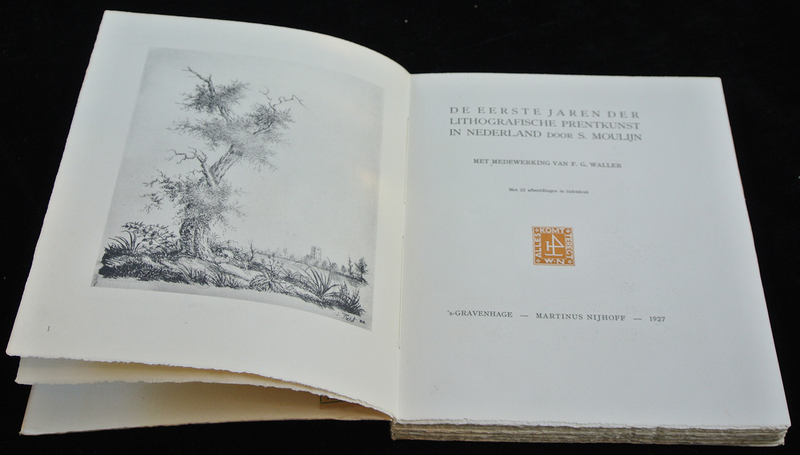 Antique Book, titled: 'De Eerste Jaren der Lithografische Prentkunst in Nederland', by: Simon Moulijn. 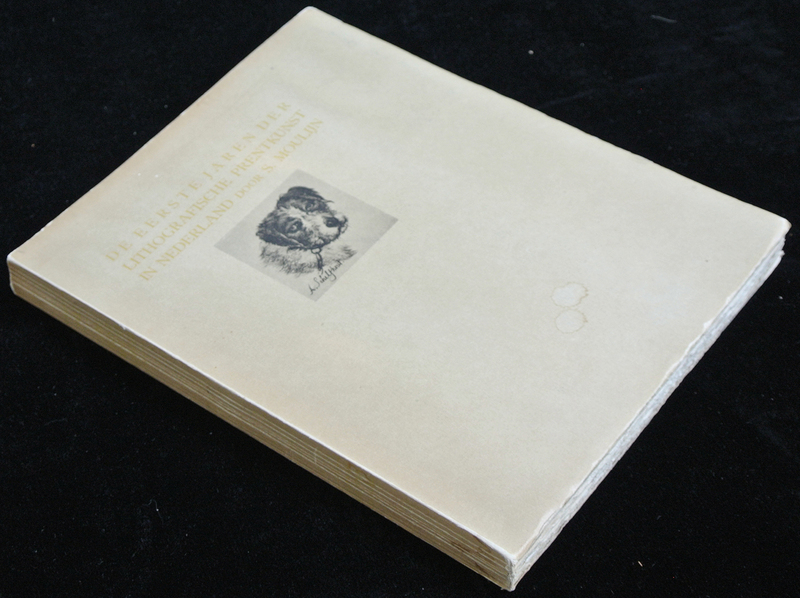 A history of lithography in the Netherlands. Artists and Engravers: Author(s): Simon Moulijn. Simon Moulijn (1844-1948) was a Dutch author, etcher and graphic artist. 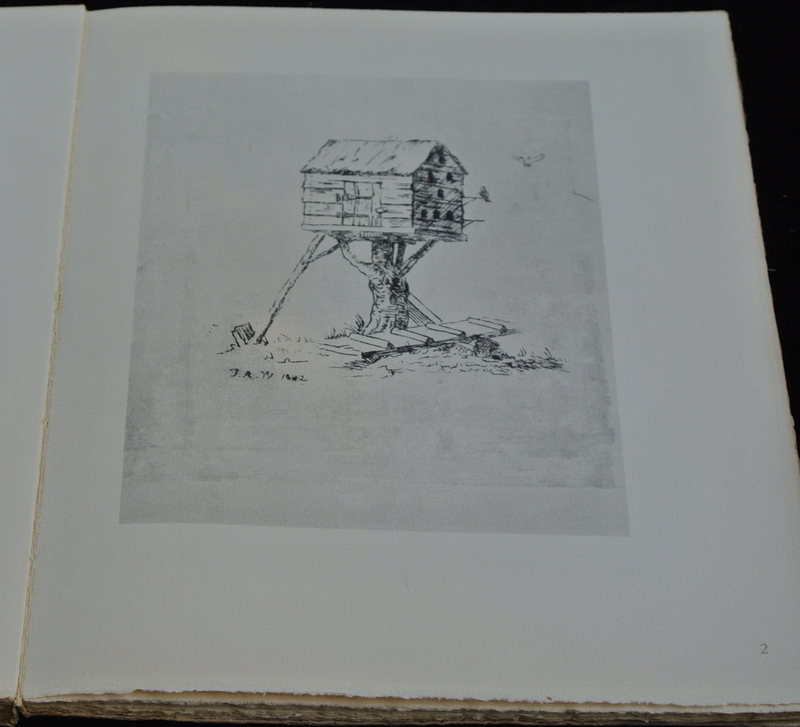 He wrote a number of books on the history of lithography and was one of the most renowned graphic artists of his time.